Laundry detergents have come a long way since the first bar soaps made from animal fat and lye were offered for sale in the 1700s. The introduction of synthetic detergents to the marketplace in the 1950s offered homemakers more options of fabric care. But it was the 1970s that brought the most significant innovation in laundry, the addition of enzymes that "attack" specific types of stains. It is those enzymes that separate the men from the boys when it comes to clean laundry. Every detergent manufacturer has secret ingredients and mixtures to produce their specific brands. Many of these ingredients can be manufactured from plants; others are petroleum-based. It is the amount of each ingredient and how they are combined that affects the cleaning ability of the detergent. Alkalies, a major component in most laundry detergents, are soluble salts and a base which reacts with an acid to neutralize it. They are effective in removing dirt and stains from fabric without excessive rubbing. Soluble salts of an alkali metal like potassium or sodium are good grease removers. They form an emulsion of the oily or solid particles that are held in suspension in wash water to be rinsed away. The first soap and detergent makers used plant ashes to produce alkalis. Today they are chemically produced by running electricity through salt water to produce sodium hydroxide (NaOH) or caustic soda and potassium hydroxide (KOH) or caustic potash. These are the most commonly used alkalies in soaps and detergents. Alkaline substances vary in their strength with the strongest causing burns and internal injuries if swallowed. Strong alkalies can also damage fabrics and leave clothes feeling rough to the touch. Surfactants are one of the major components of laundry and cleaning products. They break up stains and suspend the dirt in the water to prevent redeposition of the dirt onto the surface. Surfactants disperse dirt that normally does not dissolve in water. They work like an oil and vinegar salad dressing. They do not mix unless shaken vigorously in the bottle and they separate almost immediately afterward. The same is true when washing clothes. Surfactants "shake up" the soil which normally does not dissolve in water, making it dispersible and able to be removed with the wash water. In anionic surfactants, the head of the molecule is negatively charged. This particular type of surfactant is very good at removing oily dirt and stains unless used in water that is full of minerals like calcium and magnesium. The minerals keep the anionic surfactant from working properly. You'll see anionic surfactants listed as alkyl sulfates, alkyl ethoxylate sulfates, and soaps in the ingredient list. If you have hard water, you will get better cleaning results with a non-ionic surfactant. These surfactant molecules have no electrical charge. You'll find these surfactants listed as ethers of fatty alcohols on the label. You may find them combined with anionic surfactants to complement and boost cleaning action. Enzymes can be natural or processed chemically. Different enzymes target specific soils and the catalytic action breaks the soil into smaller molecules to be washed away. Enzymes are naturally occurring; they help bread rise faster and increase wine yields. The introduction of enzymes into laundry detergents dramatically changed how we do laundry. Enzymes allow us to use lower water temperatures and less detergent to get clothes clean. For many, many years the only way to achieve clean laundry was to use boiling water and harsh lye-based soaps. Dyes are added for the aesthetic appeal to the customer. They perform no role in cleaning. If you have sensitive skin, opt for detergents with no dyes because they can cause irritation. To get the best results from any laundry detergent, there is a three-fold process of chemical energy, thermal energy, and mechanical energy that must be used when washing clothes. The chemical energy is, of course, the laundry detergent. The ingredients in the laundry detergent you choose will affect the final results. Less expensive detergents have fewer or no enzymes. Fewer enzymes equal less cleaning power. Thermal energy pertains to water temperature. Different detergents are formulated to work best at different temperatures. Be sure to read the directions to select the best product for your laundry. Mechanical energy comes from either a washer or a person hand-washing clothes. There are dozens of choices on the laundry detergent shelves. How do you choose? The best choice is the one that suits your family’s needs in terms of effectiveness on specific soils, personal preference for fragrance, form (powder, liquid or single dose), and price. Here's how to start. Assess your family's laundry including the types of stains and the amount of body soil. If most of the garments are only lightly-soiled with few stains, you may find that a less expensive detergent and a good stain remover is all you need. If you have heavy soil, gym clothes with lots of body odor and lots of food/grease/outside stains; you need a heavy-duty detergent. Next, read the laundry detergent labels or go online to read the ingredients. It is important to look for surfactants and enzymes to remove soil and stains. Bargain brands have fewer of these components and will not clean as well. 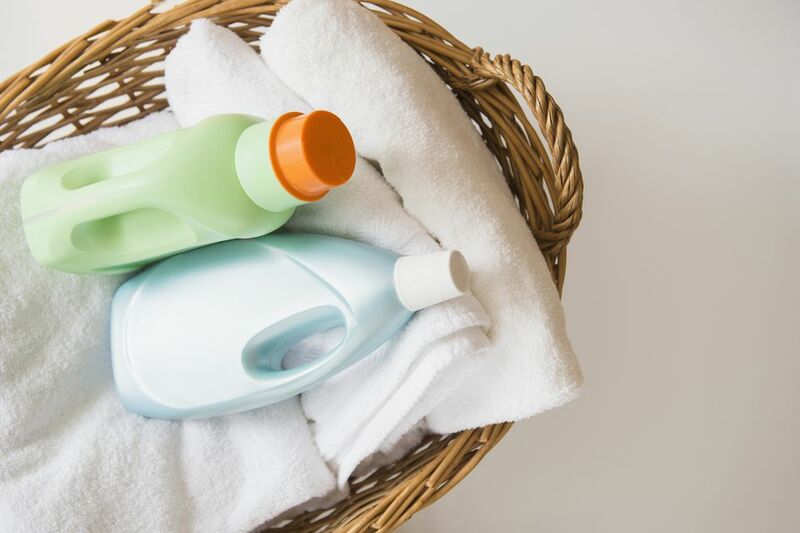 You may find that having two formulas on your laundry shelf will serve your needs; one detergent for lightly-soiled clothes and one for heavily-soiled clothes. Although most detergents will work in cold water, it is better to choose one formulated for cold water if you plan to use cold water exclusively. You can now find liquids and powders in concentrated or ultra formulas. Although packaged in smaller sizes, they provide the same cleaning power as their larger unconcentrated counterparts. To determine the correct amount to use, follow the label instructions and use the companion measuring cap or scoop. These products simply have the extra water or fillers removed making them easier and less expensive to ship and store. The single-dose packs and pods are concentrated even further and may actually save you money by preventing overuse. Many people chose their laundry detergent based on scent. Just remember that "smelling clean" is not the same as being clean. Be sure that soil is actually being removed and not just covered up with perfume.